Allu Arjun is busy with Harish Shankar’s action entertainer Duvvada Jagannadham these days. After wrapping up this movie, Bunny will move on to a high budget bilingual action thriller in star Tamil director Lingusamy’s direction. 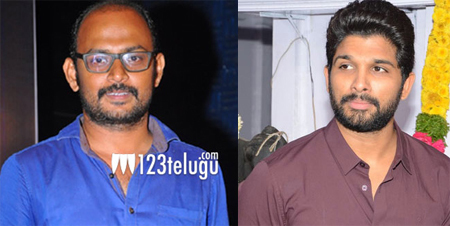 Now, according to the latest buzz, Ekkadiki Pothavu Chinnavada director VI Anand narrated a storyline to Bunny and the Stylish Star, who reportedly liked the idea, had asked Anand to come up with the full script. This is merely a speculation and we will have to wait for a few days to see if the news turns out to be true or not. Incidentally, VI Anand will soon be directing Bunny’s brother Sirish in his next project, a romantic sci-fi thriller.